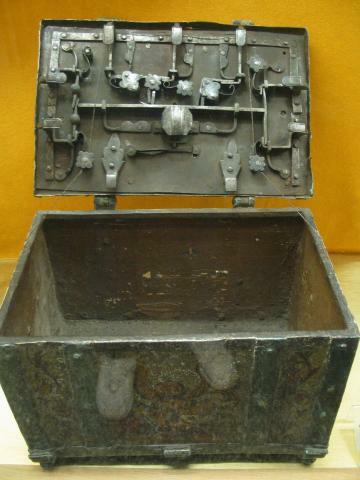 A treasure chest in the Rothenburg Medieval Crime Museum. If the multiple locks were operated in the wrong order, the chest would not open. Xandie asked if we could have it to keep her plastic jewelry in.